So Kamala Harris has thrown her hat into the ring for the Democrat nomination for President in 2020. She fits all the identity boxes, much as Obama did. She is African-American, (or Jamaican or Indian-American, take your pick) she is fairly photogenic, she’s female and most important, she hates Trump. Declaring her candidacy on Good Morning America on Martin Luther King Jr. day meant that the audience she was most looking to connect with had the time to hear her deliver her talking points without any interruption. She claims that throughout her career she has focused on keeping people safe, something that is hard to disagree with, everyone wants to keep people safe. But has she actually accomplished that goal? Let’s look at her past that the media will not let the American people know and see just what she has accomplished. Advocates for criminal justice reform in the State of California have stated that the Office of Kamala Harris was “part of the problem and not the solution”. When the progressives pushing for criminal justice reform requested she embrace these reforms, she ignored and actively opposed any reform and looked to uphold the wrongful convictions obtained through wrongful convictions by official misconduct, evidence tampering, false testimony, and exculpatory evidence. The people have spoken up about the mistreatment of David Daleiden. In 2014, the Center for Medical Progress of which David is a part released videos of Planned Parenthood discussions, admitting and laughing about the sale of aborted baby parts. Planned Parenthood fought back, hiring Fusion GPS of Trump false dossier fame to fight back and claim the videos were edited. They never denied these discussions took place, or that what David Daleiden released was wrong, just the videos were deceptively edited, a claim since debunked. 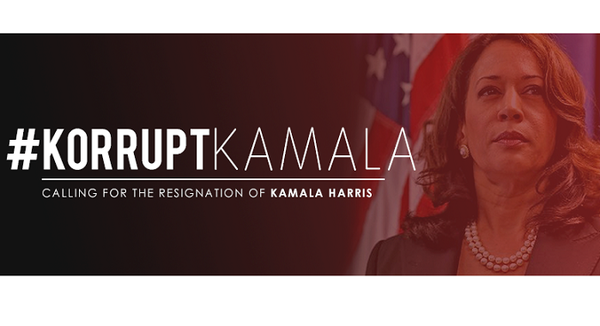 It was then that Kamala Harris got involved. After a donation of $81,000 from Planned Parenthood Kamala Harris, who was serving as California’s attorney general got to work on a feeble attempt to discredit both Daleiden and the videos. 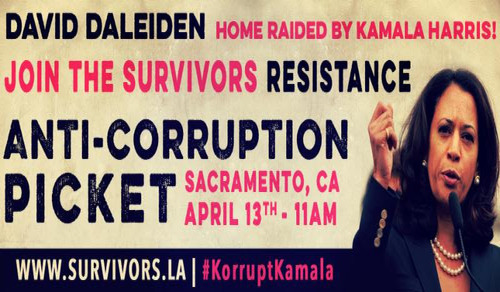 In 2016, a search warrant was made out for Daleiden and his home was searched and videos were taken to prevent them from being released and to prepare a legal case against David. This breach of law was then passed to Harris successor Xavier Becerra who filed 15 felony charges against both the Center for Medical Progress and Daleiden. This is a clear abuse of the law and the criminal process. The videos in question were taken in public places, and filing felony charges for what investigative reporters have done for decades is a violation of the right on an innocent man.